Yamaha YSP 2500 Amazing 5.1 surround sound feel, Intelli Beam function, Wireless sub woofer, Sleek & slim design, Infra red repeater, Nifty smart phone app High-End Learn More Here! 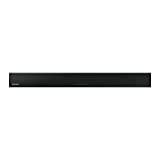 Sony HT NT3 Great sound quality, Wireless Sub woofer, Dolby TrueHD sound Mid-Range Learn More Here! Sony HTCT770 Good sound quality along with S-Force Pro, 1 touch NFC & Bluetooth, SongPal smartphone app Mid-Range Learn More Here! 1.2 What Are Sound Bars? With televisions getting thinner and thinner, the focus, it seems is on the picture quality primarily and the sound quality seems to take a back seat. In reality, with the TV being so amazingly thin – there isn’t much physical space to have good quality, powerful speakers so you end up with 4-10 watts speaker which isn’t really enough to give you great sound. The whole point of having a high definition TV or a good quality home cinema projector is to enjoy that cinematic experience in your home when watching the movies on screen. You want the bass to be heavy and felt in your heart, the treble to be crips. Some of the leading TV’s currently on the market have an amazing picture quality at 1080p resolution and even with 4K technology, but they lack good sound. This is the reason the sale of sound bars have increased over the last couple of years. Sound bars are the perfect solution for those of us who want great sound quality but don’t have the physical space for a surround sound speaker system. 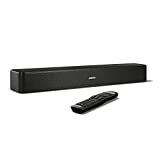 A Sound Bar (also referred to as Sound bar) is a speaker system, which comes in the form of a horizontal bar that connects to your TV (or projector). The sound bar virtually produces surround sound using the front speakers giving you the feeling of being “surrounded” by sound as you would be in the cinema. Some of the higher end sound bars have an external sub woofer to give us that deep bass, while others have a built in smaller sub. 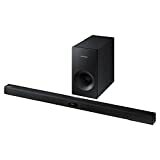 Generally speaking, the sound bars with the built in sub woofer will not have the deepness or the heaviness in the bass as the sound bars with the external sub. Sound bars come in all kinds of styles and designs. You can get thin sound bars with a minimum physical footprint which sit nicely under your TV set and give you good quality sound. These are great if you are short on space yet want good quality sound. They shouldn’t interfere with your TV remote signal. Some sound bars can get in between your remote position and the TV’s remote sensor. If this is the case, you may want to look for a feature in the sound bar called IR Repeater. The IR repeater basically repeats the signal from your remote to the TV. You can get some sound bars which sit as a complete and you are able to remove two of the speakers on the ends if you wish. This option is great for the times you want surround sound, you simply put the speakers behind you and enjoy the cinematic experience! In this day of wireless technology, most sound bars on the market come with wireless functionality built-in. They can connect to your TV wirelessly and also give you the added option of being wireless speakers for your laptop, smart phone or tablet. They will either have wireless Bluetooth connection or some form of network connection. This is a very handy feature. Some sound bars lack a front display panel and your only feedback would be a set of LED lights. This can be a bit of a pain to know what volume you’re on or if your sound bar needs to tell you something. The mid-range to the higher-end models will usually have a digital display which I would always recommend going for. The more affordable sound bars will have limited connectivity options. A budget sound bar may only have an optical input while the mid range to the higher end models offer multiple HMDI inputs, optical and even aux in. It is always recommended to opt for models with a HDMI input as the quality of sound will be far superior than just your optical inputs. HDMI sound will be high resolution and will go hand-in-hand with the high resolution image on your television screen. Also with HDMI inputs the sound bar will usually be responsive to your television controls, so it will automatically switch off when your switch your TV off. Sound quality – this is the obvious one. You want your sound bar to have good sound quality – that is why you bought it! While it may be safe to assume that any sound bar which is mid range in price would have good sound quality, it is also worth reading customer reviews and looking on this site for recommendations. It is usually a good sign if a sound bar has HDMI input, this tells you that the sound resolution is very good – Bluray standard. As written above, the bass will be deeper, the treble will be clearer and you will just have more of a cinematic experience at home. HDMI Connectivity – As above, one feature which will give you a good indication of the sound quality is the HDMI connectivity. Your TV is HDMI, so why should your sound bar not be? Bluetooth connectivity – as mentioned above, having Bluetooth connectivity will go a long way. This means that you will be able to use the sound bar as a wireless speaker system to play audio from your phone, tablet or any other Bluetooth enabled device. A feature that should not be overlooked. Some sound bars have a built in sub woofer, some have a separate one. My advice is buying a sound bar with a separate sub woofer. Separate sub woofers will undoubtedly give you a better quality, deeper bass because of the fact that the manufacturers didn’t have to “cram” this in to the relatively small space of the sound bar. Movie sound tracks will sound more powerful, action scenes will have more of an impact and will make you feel like you are right there in the midst of the movie! Sub woofers can be linked via a cable or it can be wireless. Wireless would be preferred so you don’t end up with messy cables in the room to then tidy up. The wireless sub woofer would still require a power, which simply plugs into the wall. While most sound bars are stand alone bars which sit in front of your TV set with either a sub woofer built in or a separate sub woofer, you can also buy sound bars with detachable speakers. Sound bars with detachable speakers are ideal for having true surround sound when you need it. It works as a temporary solution. They usually come with detachable speakers which you put behind you and then re-attach when finished. They are powered by battery and work great. If you have any questions about any of the topics covered on this site, please feel free to contact me.